The variability of valuation practice within Europe is perceived as a problem within the globalization of property. 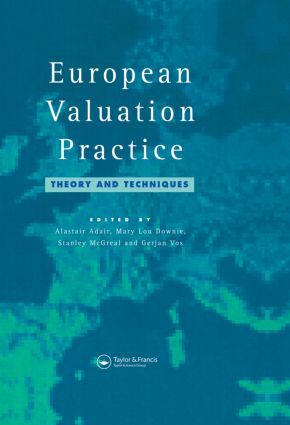 This edited textbook examines the practice of real estate valuation in selected countries in Europe. The focus is on countries with well developed real estate markets in which both international and indigenous investors are active. The book is aimed at real estate professionals, financiers, institutional advisers, property researchers and students who require a greater understanding of comparative property appraisal techniques applied across Europe.